What questions should I ask an interior designer? Congratulations on nearly getting through January. It’s the time of year when people emerge from Christmas, sort out paying for it and have some headspace to think about the year ahead, how they want to live it and what they might need from their home. This can be daunting for some and it’s hard to know where to start. The biggest, though most fun challenge can be creating a vision. If you are thinking about taking on an interior designer to help you with a challenging room we have a brilliant offer at the moment to do just that. Find out more here and also how we have nailed it with lots of very happy home owners. It’s been a popular offer and one which we can offer out 5 more times. To help start put with your project, it’s good to have a toolkit of questions to ask of your designer; they will have plenty to ask you too. 1: Is it worth using an interior to just work on a small space? Yes, absolutely. They will help you make the most of the size and features using colours, textures, the right furnishings and creating an overall concept which brings it all together. It’s actually quite surprising how much the right advice can change the way a room feels. 3: Make sure the designer has examples of the room you actually want to redesign: e.g. bathroom or kitchen. It is also really helpful to see before photos too to demonstrate the difference you can make. That is ultimately what people will want out of a room redesign. 4: Will you challenge me? If so how? Some people are too busy to think about how their new home will come together. Some can’t get to it logistically, some are not sure where to start. Snd it’s all fine. But most people want to be challenged and end up with a vision they might not have been able to achieve on their own. It’s good to know where your interior designer stands. 5: What is your view on trends / and following them? 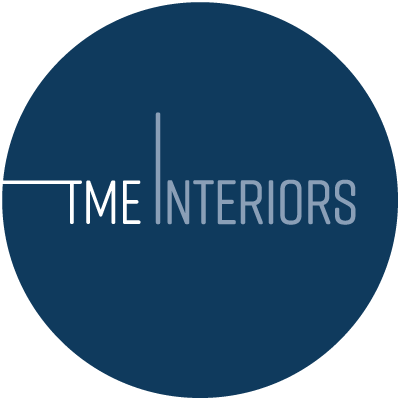 At TME Interiors we don’t really do that. It’s your home not an article on trends and and we would rather create something that fits around you. It’s really easy easy to copy but it’s not as fun as doing something from scratch. 6: Can you afford interior design services? There will be a huge range in pricing and choosing one will ultimately be led by what you are comfortable spending, as well as chemistry and their understanding of your brief. It’s true that it can ultimately be a great wav to save money as it will help avoid making big mistakes which might need to be corrected. Further, a good designer will be really transparent about their pricing and it should be broken down in a way which is easy for you to understand. 7: Bring photos to support your likes and dislikes. This will help guide your tastes and give the designer a good idea to where you stand. 8: When designing a room, what is the most important piece of advice you give? Responding to how the room will be used is the best advice. E.g. a bedroom is a more private space and can have a more personal design, whereas a dining room would normally be more stand out. 9. What’s the most important factor when designing a room? Having a clear vision is essential. And many people don’t… so working with an interior designer can be priceless. Before going out buying things get help to narrow down your design and scheme. Your ultimate living space needs to reflect your personality and be functional and inviting at the same time.